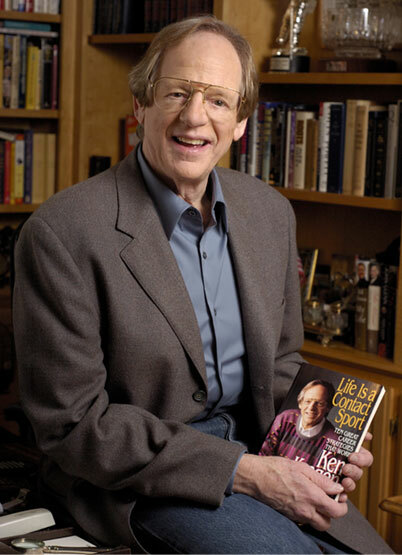 A graduate of Harvard Business School, Ken Kragen has an impressive record of unprecedented success as a motivational speaker, career and marketing consultant and designer of non-profit events and strategies. He has consulted for Cisco Systems, New York Life Insurance, IBM, Polaroid, Interface Carpeting Company, The Hollywood Reporter and many more. Ken has taught courses at UCLA, USC, the University of Tennessee, Loyola Marymount University, Harvard Business School, and many other schools and universities. Three times he has keynoted the Country Radio Broadcasters annual convention in Nashville. Recently he did a memorable presentation for his peers at the prestigious SANG (Speakers & Authors Networking Group) conference in Los Angeles. Ken develops unique and creative concepts that demonstrate his gift for "thinking outside of the box" and creating a whole new package of ideas. He is an expert marketer. He creates fully integrated strategies that implement the vision of executive management and propel the sales force to higher levels of achievement. "Accomplishing The Impossible" - Lessons learned from some of the most historic humanitarian events of all time. "Life Is A Contact Sport" - The power of networking in the age of the Social Media explosion. "The Magic of Threes" - A proven breakthrough marketing concept that can apply to anything and everything you want to sell. "The Stardom Strategy" - Proven techniques to make you a star performer in whatever career you choose. "How To Get Caught Telling The Truth" - The power of honesty and ethics as effective tools for your life and career. "Doing Well By Doing Good" - Giving to get back.